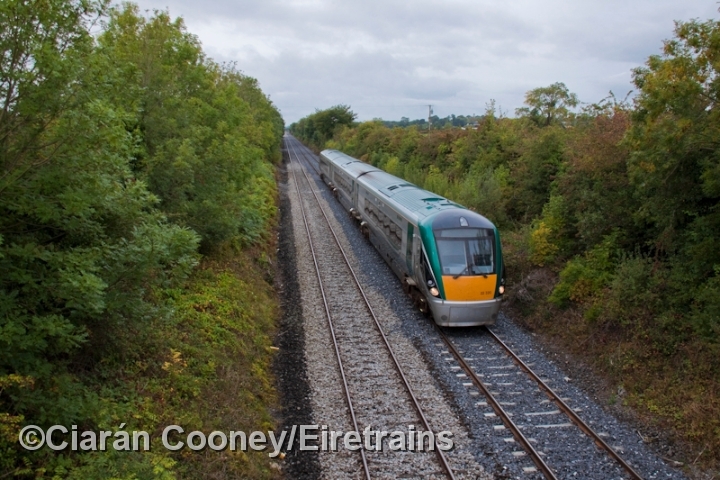 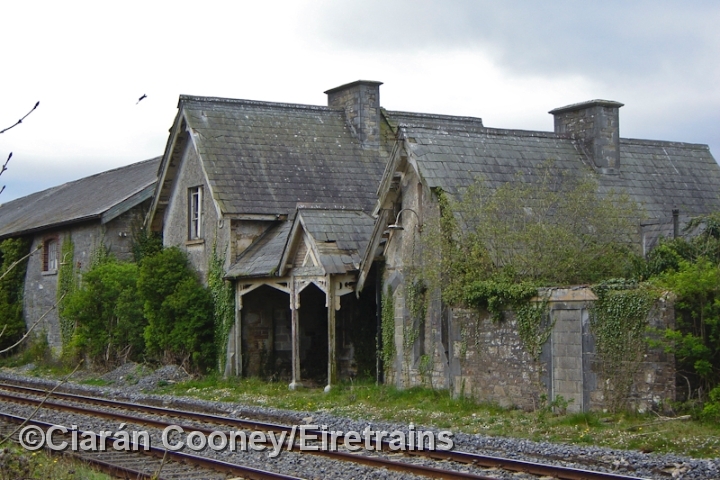 Mountrath (& Castletown) Station is located on the Great Southern & Western Railway's main Dublin to Cork line, between Portlaoise and Thurles. 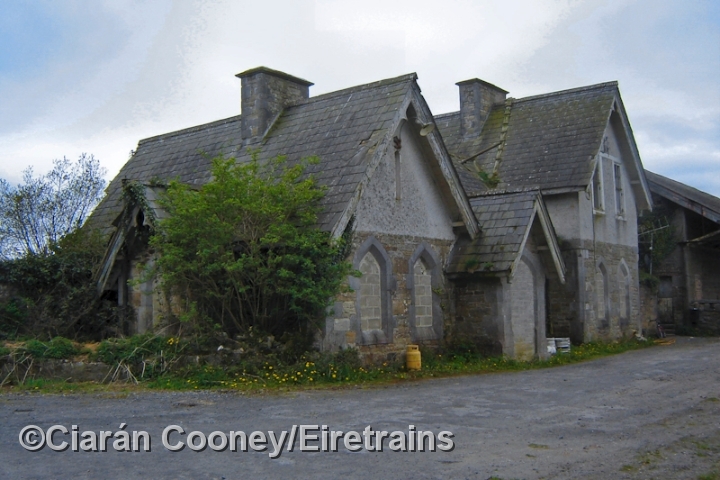 The station, which opened with the line in September 1848, was closed completely by CIE in 1976. 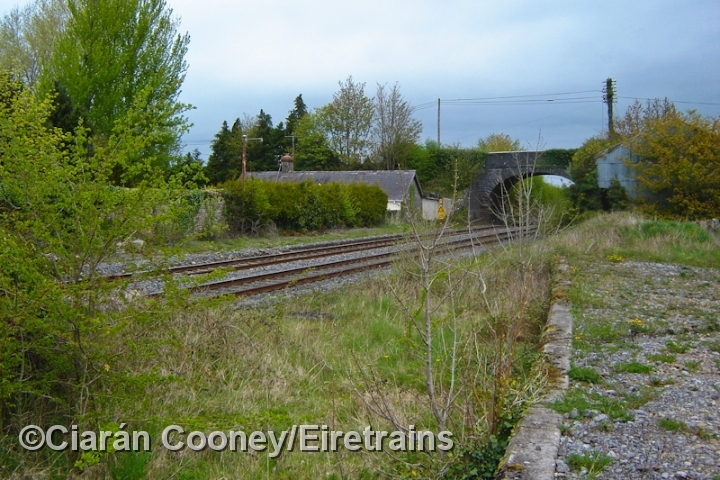 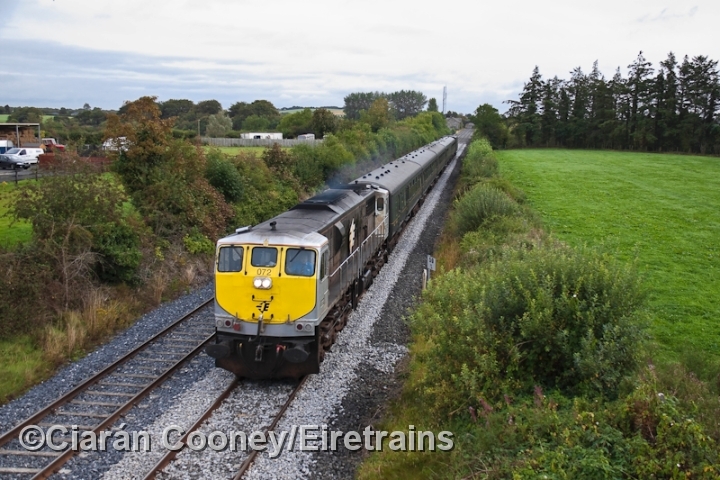 It remained a block post, retaining its signal cabin and signalling until the mid 1980s when modern CTC signalling was extended south to Mallow. 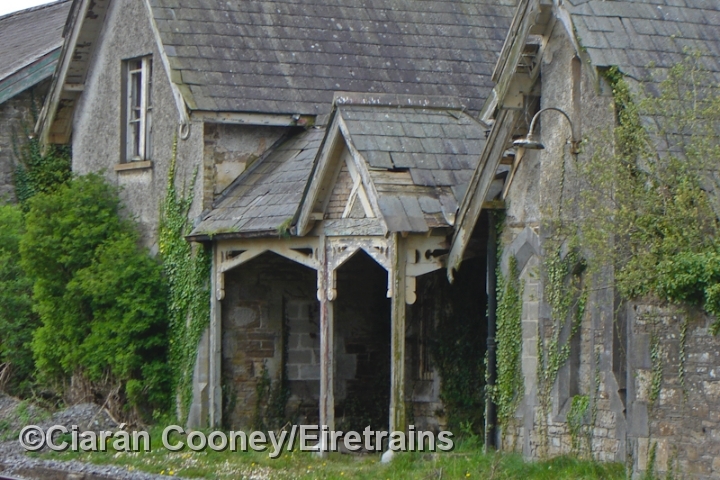 Today, the GSWR stone built station building, complete with its wooden porch canopy, survives albeit in a derelict state. 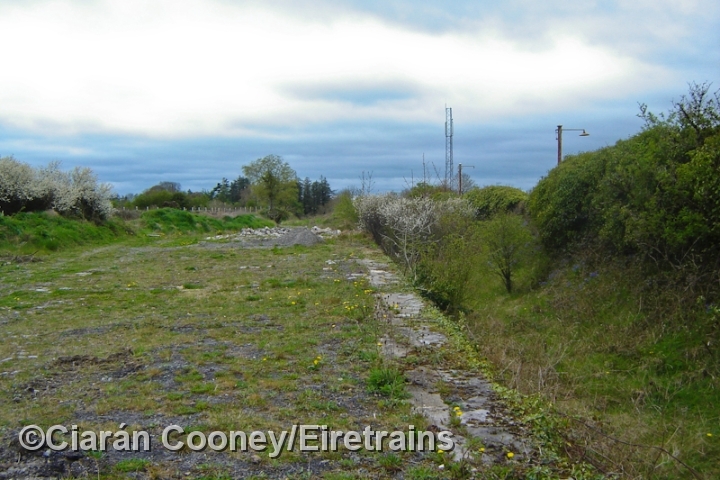 The degraded up & down platforms as well as the large goods shed also remains at the station site.